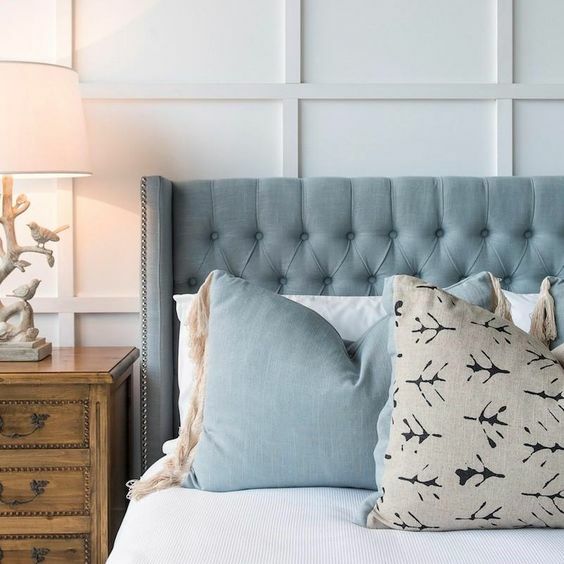 We all love a beautifully decorated bedroom that is both stylish and comfortable, even if it’s an irregular shaped room. 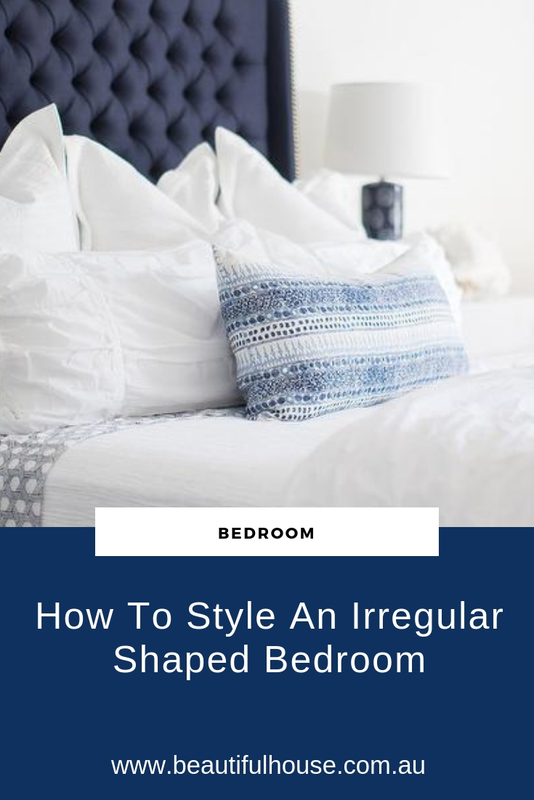 Today I have some ideas and inspiration for decorating an irregular shaped bedroom. Come and take a look. If you have an irregular shaped room with odd nooks and corners, paint the room one colour, select one of the neutral whites from Dulux. The pastel blues and bedhead above look both elegant and relaxing with the white timber feature wall from this bedroom. 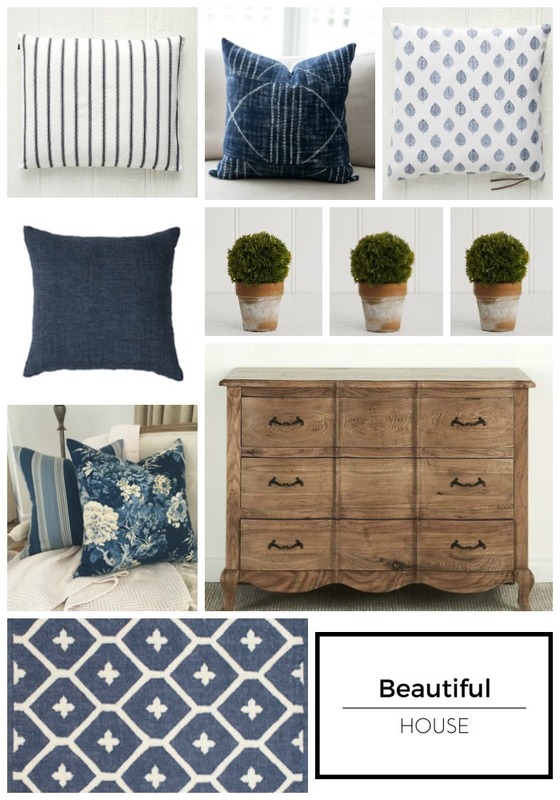 This Margaux bedhead in french blue would have to be one of my favourites from Mayvn Interiors. If possible, place your furniture against a wall where you can see your bed when walking into the room. Start with a large rug under your bed to anchor the room. 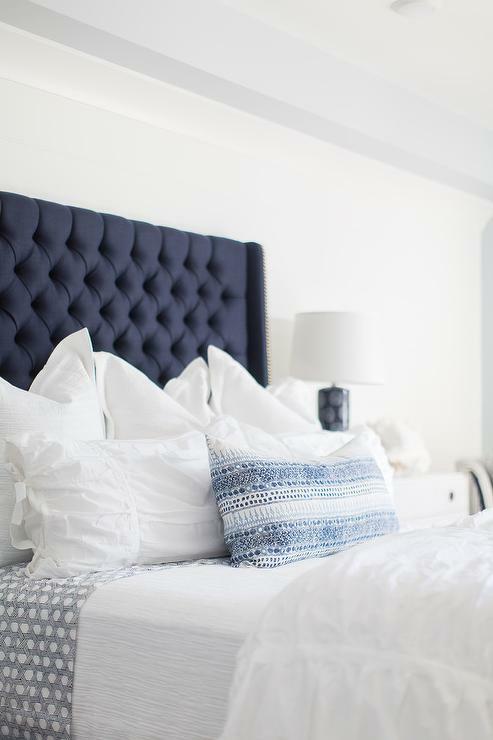 Place your bed, matching bedside tables and lamps either side. This way you have created a focal point when entering the room. 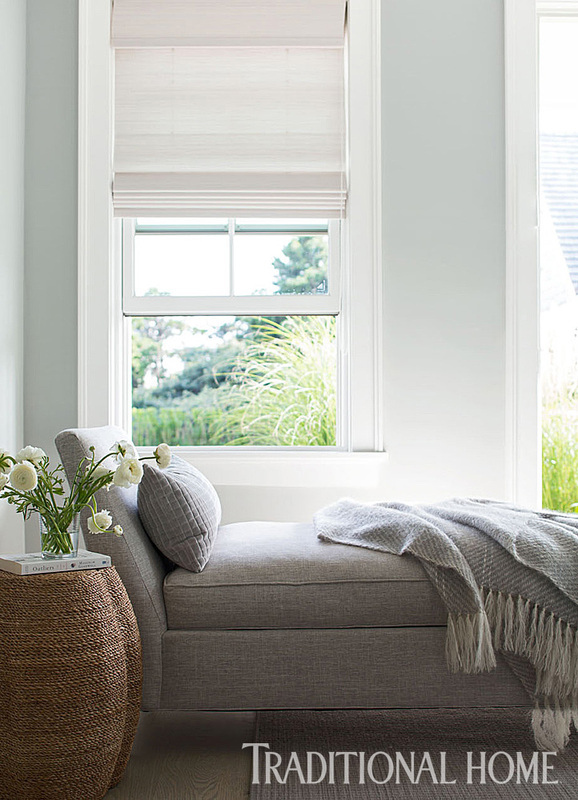 Choose neutral window coverings to keep the room light and bright and something that won’t take away from the impact of your beautifully styled bed. A small reading nook in your bedroom is perfect for an irregular shaped corner. 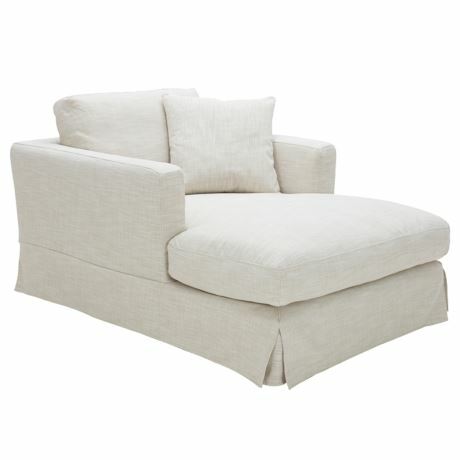 Decorate with a daybed or armchair, side table and floor lamp. Add a small round rug under the chair to define your reading nook. The reading nook you have created will also become a beautiful feature in the room. 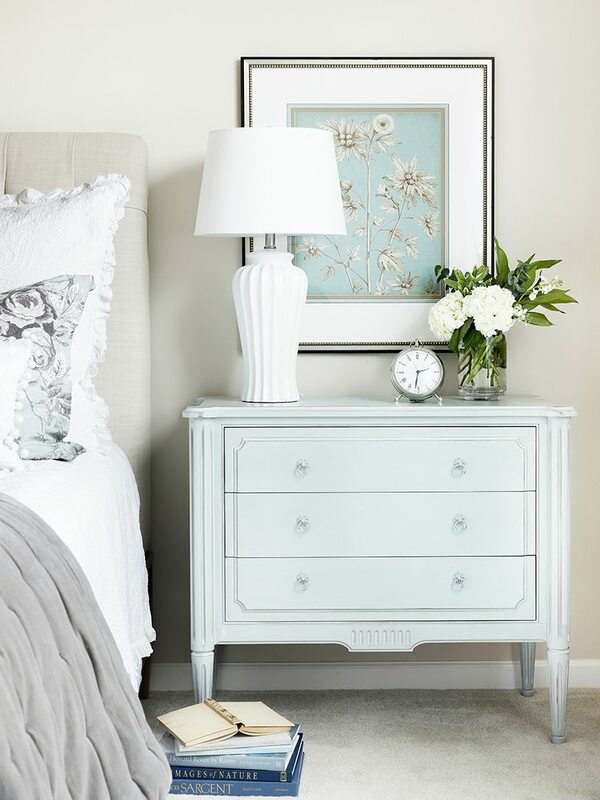 Creating and styling a makeover for your bedroom can be so much fun. 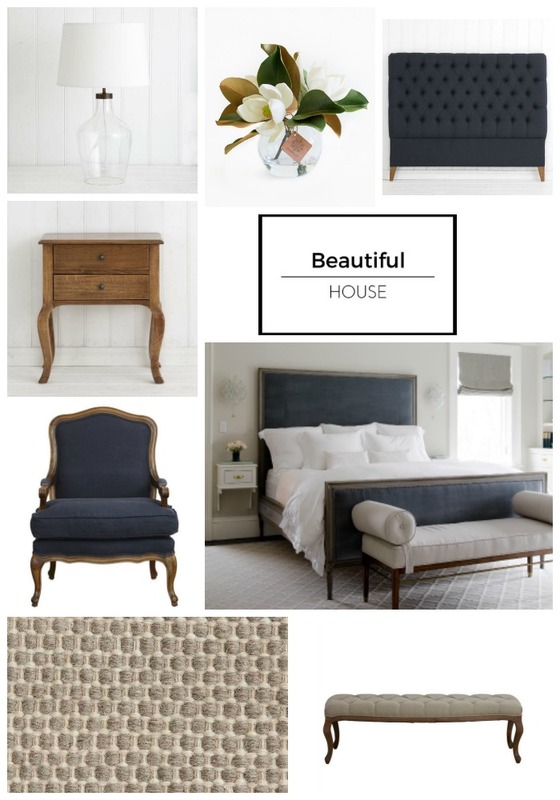 Start by creating a mood board or a Pinterest board and collecting your favourite images, fabrics and furniture to pin to your Pinterest boards. Choose beautiful bed linen and co-ordinate cushions with the same colours but different shapes and patterns to style your bed. I love dressing my bed in crisp white linens and adding my colour with bedside lamps and beautiful cushions. 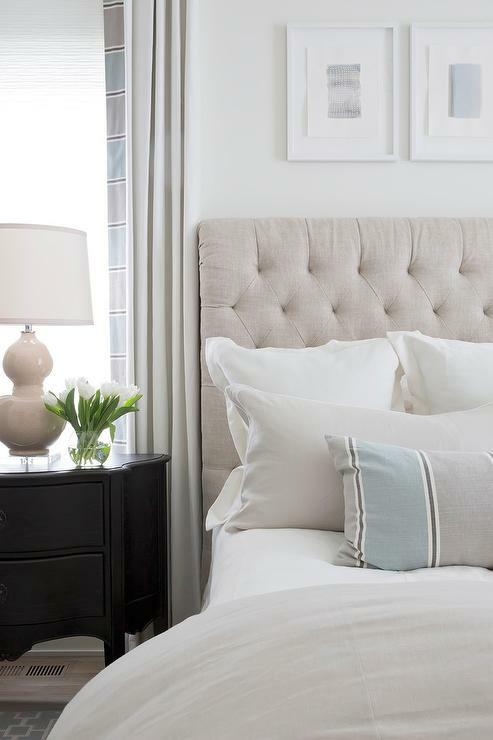 Do you prefer to decorate your bedroom in colours or more neutral tones and textures?